This is the story of Captain William Thomas Lloyd Allcock's service in the Royal Flying Corps based on his diary and other background material. Following flying training at Hendon and then in the RFC at CFS he served in No.s 2, 16, 46 and 40 Squadrons before being posted missing on 5 June 1917. He has no known grave and is commemorated on the Arras Flying Memorial. He was mentioned in despatches by Field Marshal Haig on 7 November 1917. William Allcock was born in 1897. He came from Knighton in Radnorshire and following his secondary schooling at Bourne College, Birmingham, he left home for Canada in 1913. Having travelled across Canada without really settling and with the outbreak of war, he felt, as his local newspaper put it, the need to return home "to do his bit" for King and Empire. He returned to UK via New York and arrived home in January 1915. Allcock set his sights on joining the Royal Flying Corps and his parents arranged for him to go to Hendon Flying School to train privately for his pilot's certificate. It was normal at this time for military pilot candidates to sponsor their own initial training. He went to Hendon on 22 February 1915 to start his training. He applied to join the RFC and while at Hendon he was interviewed at the War Office and told that his application would be subject to successful qualification for his pilot's certificate. 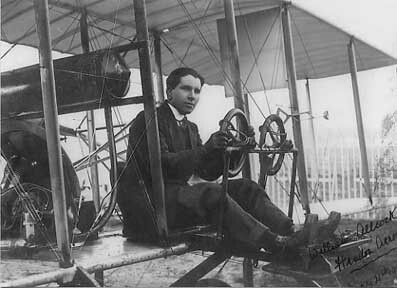 Allcock completed his training with six hours flying at the Beatty School, Hendon. He qualified for his Royal Aeronautical Club pilots certificate [No. 1241] on 16 May 1915. While this may seem a long period in which to complete six hours flying, the training aircraft were relatively fragile and could only be flown in good weather and relatively still conditions. Lt. Montgomerie (later of 2 Sqn RFC) training at Acton in 1917 refers to the limitations of similar aircraft in a letter to his father, describing them as unstable and limited to 300 ft altitude with two passengers. 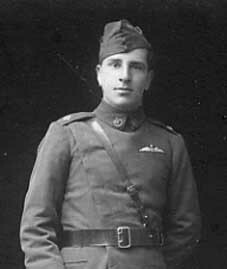 Allcock was appointed as a probationary 2nd Lieutenant Special Reserve in the Royal Flying Corps on 12 June 1915. He went to the Central Flying School to undertake his military flying training. Having completed this he was confirmed in his rank on 22 September 1915 and appointed to No 2 Squadron in France. The following pages are taken from his diary (reproduced by kind permission of his great nephew Guy Griffiths who holds copyright in the text of William Allcock's diary). Copyright in photos as indicated individually. The extracts from the RFC communiqués quoted are from two books by Christopher Cole and Chaz Bowyer covering the period 1915-18.